Found footage horror gets a bit of a bad rep, despite the iconic Blair Witch Project blazing one hell of a trail nobody seems to have captured the same magic. I’m always keen to see what new efforts directors put into the format, successfully or otherwise. It’s a subgenre that has seriously divided opinions, those that love the claustrophobic feel that throws you right into the perspective of the victim, or if you just want to see what’s happening and for the camera to stay still. While Blair Witch popularised the style, it’s increasingly famous for the over-done Paranormal Activity franchise, the nauseating Cloverfield, a collection of hammy exorcism videos, a few other rather crappy examples too numerous to mention because of how easy it is to make on a low budget and imply everything without ever really showing much more than a prop-blood soaked limb. But it’s the low budget that I think really makes the good films better, the classics never had the blockbuster budget or the incredible special effects that make superhero, fantasy and sci-fi films better and better every year. Anyway, long story short here’s some good found footage films and the reasons why the format worked for them. For each I’ll break down the justification for the hand-cam in story, and how well it works. The other eponymous found-footage film, a couple move into a new house and start documenting all the strange and terrible things that start happening to them, specifically the horrors that have followed the girl since she was young. Over the course of the sequels and prequels we discover more and more of the truth amidst the trouser-filling jump scares. Why the camera? It starts fairly rationally, a young girl beset with woe wants to find answers, but other entries into the series seem more narcissistic, or grasping for purpose when there really shouldn’t be any. Security cameras to watch for burglary, recording moving into a new house, the cameras we have on us every day, so on, so forth. After… six films by my count, ideas start running thin, as does the effect from what I’ve seen. Does it work? For the first film it certainly had plenty of shock value, the use of cameras was good but didn’t make up for an overall lack of story. Again, later films become less and less potent for over-saturation but the original film made fair use of the series of fixed cameras, giving the feeling of helpless witnesses rather than putting us in the shoes of the victim. What starts as a local news fluff-piece for an aspiring young Spanish journalist turns into a nightmare as a zombie outbreak centres on an apartment block in which the firefighters she’s documenting are called to help. She, and all the residents are quarantined, trapped in a nightmare. Why the camera? Putting a journalist and her cameraman into the situation means that at least two of the characters are compelled to record and document everything. It’s perfect justification, and as things get worse and worse, people start dying and men in gas masks wrap a building in plastic, their need to have everything on camera intensifies. Does it work? In the close confines of a cheap tenement building the hand camera certainly feels more immediate, especially as the undead start leaping on their victims in narrow passages and down the tight staircase. Was it necessary? I don’t think so, but it certainly helps, and I don’t know if Rec would have been so effective without it, and certainly wouldn’t have received a weak Americanised remake. Also known as Devil’s Pass, a group of students go to investigate the infamous mystery of the Dyatlov mountain pass in the Ural range in which nine hikers died in mysterious circumstances after fleeing their camp hastily, most of hypothermia, some with head injuries, one missing her tongue. As the students delve deeper they naturally run afoul of the same fate. Why the camera? This is a student project first and foremost, so half of the focus is on keeping track of the most important details whenever they might be encountered, and the rest is just a bunch of kids having fun on holiday. After a while the need to document is forgotten and it simply becomes part of the film. Does it work? Again, not entirely but it helps. The environment starts out a lot more open and becomes enclosed later, so a lot of the tension building from the point-of-view camera is quite abrupt. It’s a good horror film, and nothing is lost for the camera style, but I don’t think it really gained a lot from the choice. A couple look for a distant retreat from the world in order to work on their relationship and make a documentary of the wilderness. In the middle of nowhere they stumble across the secret hideaway of the anonymous artist who makes haunting scarecrows under the pseudonym Mr Jones, and strive to meet the artist, only to fall down a rabbit hole of eldritch horror. Why the camera? The need given for the camera is tenuous. It seems a little odd for someone to just decide to record a documentary, and even then they don’t seem too committed to the bit. It all changes when they stumble onto a real story and suddenly they’re glad of the camera. Does it work? Yes. For a change the camera is entirely necessary. It not only emphasises the mysterious nature of Mr Jones, his art, and the secrets beneath his house, but eventually becomes an integral but unintrusive part of the horror as the couple discover footage they never recorded, and start capturing mysterious happenings during the night. I recommend most of these films, none more so than this. I loved this film, and will bring it up repeatedly. A girl’s search for the Philosopher’s Stone leads her to the secret workshop of Nicolas Flamel beneath Paris, only accessible through the packed catacombs under the streets. She and her cameraman employ the help of a group of urban explorers to lead them through the sealed tunnels and forbidden depths. The deeper they go, the more and more evil things they encounter, as if they were descending into hell itself. Why the camera? The opening scene shows us the crazy extremes our protagonist is willing to go to for her research, giving us some real character motivation for the camera style, as she races through a hidden tomb to discover an artifact that is about to be sealed away by explosives. The urban explorers all come equipped with head-mounted cameras because why explore if you can’t show people? It’s all so well justified that you don’t question it for a moment. Does it work? The intensity is brought home as the group crawl through spaces made sickeningly tight by the stacked bones, and the head-mounted cameras give a direct point of view in most cases, making their panic yours. The jump-scares are close and intense, and in the few instances where we see what our victims don’t those moments are brilliantly delivered. Dead Set – A zombie apocalypse from the perspective of the Big Brother House. Isolated and oblivious, the housemates are left wondering why the cameras have stopped moving. The Pyramid – Mixed normal and found footage, a documentary crew follow archaeologists as they uncover an impossibly old pyramid, with only three faces. Unfriended – A different take on the notion, filmed entirely within the confines of a computer screen utilising Skype, YouTube and others. V/H/S – On the to do list, never watched it. I welcome reviews. Okay, so if you’re going out of your way to go and buy yourself a brand new camera in time for the convention season, what do you buy? With all of these funky terms going around, such as DSLR, or CDCs, what do you pick and why? The term DSLR, or SLR, stands for (Digital) Single Lens Reflex. In terms of what it means for the photographer is that the lenses are interchangeable. Typically these cameras have a way to autofocus on anything they’re facing, but of course a lot of it is down to the settings on the camera. With an extensive collection of features and hundreds of lenses you can choose from, the DSLR is a great way to get into photography. A CDC, or a Compact Digital Camera, works in a much different way. They don’t have interchangeable lenses, so you cannot get better (or wider/more narrow) shots… But they usually feature a hefty array of zoom functions to compensate this. CDCs are much more lightweight, so for a complete beginner, a CDC could be the way to go. These focus less on the technical aspect, with great auto modes built into them. If you’re looking for a fuss free camera, you might want to look into CDCs. It’s hard to say what is truly better but in terms of quality, the DSLRs were the way to go. In this day and age however, I’d say a good CDC shouldn’t be overlooked, as they’ve truly caught up with the times. In fact, it’s probably best to say that a CDC will be the way to go in the future… But when you take images of such high quality as the ones in the Alcon 2014 gallery, you know you’ve bought the right camera for you. Ultimately, a photographer does get better with the equipment they buy. This is a fact, but let’s be realistic here: The best photographers must learn to be a photographer first, including learning all the terms and the lingo. Only once they’ve mastered their technology should they focus on buying more expensive cameras. It’s arguable that the best cameras in this day and age are still DSLRs. 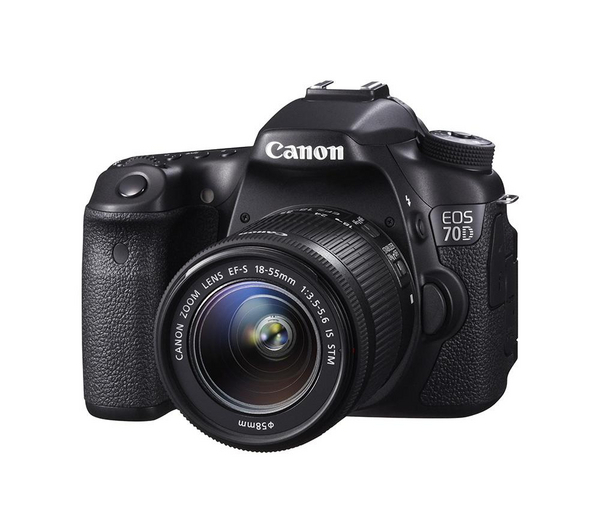 After all, the mighty Canon e70 still sits up at the top of the charts of many photography enthusiast magazines. As for me, I’m happy with my Panasonic Lumix DMC G5 still. It’s got a lot of oomph for a cheap little camera, which is neither a CDC nor a DSLR, this wasn’t me choosing one over the other: Just finding the first camera that was right for me. What do you think makes a good camera? Would you pick a DSLR or a CDC and why? Let us know in the comments below, over on Facebook or Twitter! Tomorrow is the day for BristolCon 2014! For another full day of sci-fi and fantasy fun, it’s time to go and get our book love on and this year, BristolCon is looking bigger and better than ever! It seems there’s going to be a panel for everyone, there’s a section dedicated to the Yōkai in Japanese culture, which is awesome for me! As well as that, there’s going to be some amazing readings by really talented authors and writers, panels on how to get into writing and much more. What’s more, the GeekOut South-West social group are going there to investigate, look around and chat! Come say hi to us! Panasonic are well known for making some good cameras, standing near the top of the ladder with the likes of Canon and Olympus. As a complete newbie to photography (with the exception of taking pictures for new employees on their photo-passes), I thought I’d finally invest in a real camera which I could use to take to conventions and events with me. I’ve spent a few weeks with the Panasonic Lumix DMC-G5 now and I thought I’d give you my own style of tech-review: This is a review of the Panasonic Lumic DMC-G5 to a complete newbie and what we’d care about initially. The Panasonic Lumix has a nice big feel to it, with a good weight too – It’s hard to let this beauty go! 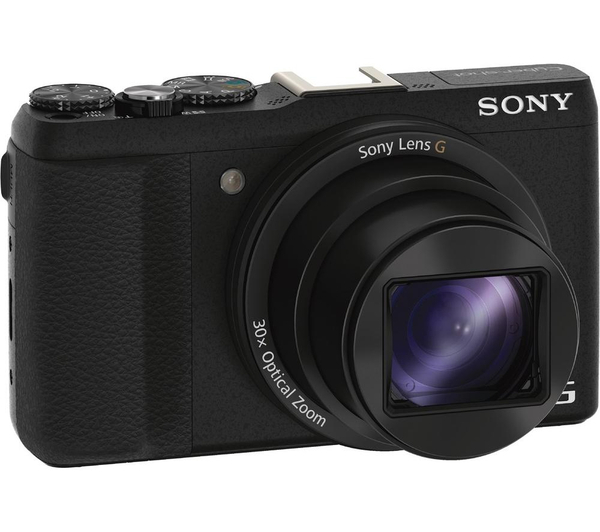 This is a CSC (Compact System Camera) which mimics the style of a DSLR (Digital Single-Lens Reflex) camera. What this means to someone uninitiated with cameras is that it’s got the style of one of those nice big ol’ lens cameras that you see professionals use. The price I got mine for was around the £230 mark, which is much better value than a good DSLR/SLR camera. So, due to its cheap pricing and the fact it’s an imitator, you’d think the photo quality on this would be pretty poor, wouldn’t you? 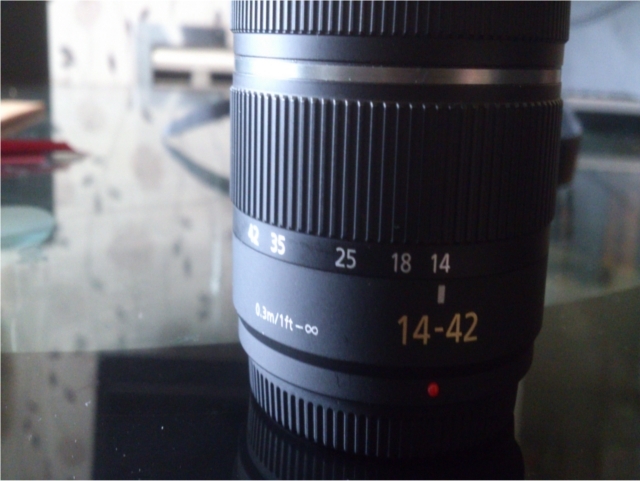 With a 14-42mm focal length, this lens is perfect for the absolute beginner, like me! The Lumix DMC-G5 can be bought either as just the body, or you can get it with the lens. Mine came with the standard lens at the £230 price range. Considering this camera came out a couple of years ago (2012, in fact) the price range and the lens as well as the body for the price I paid for it – It’s nothing short of a bargain. The lens has produced some awesome pictures for me and the fact the camera does some pretty fancy work by itself is nothing short of a saviour for someone like me. 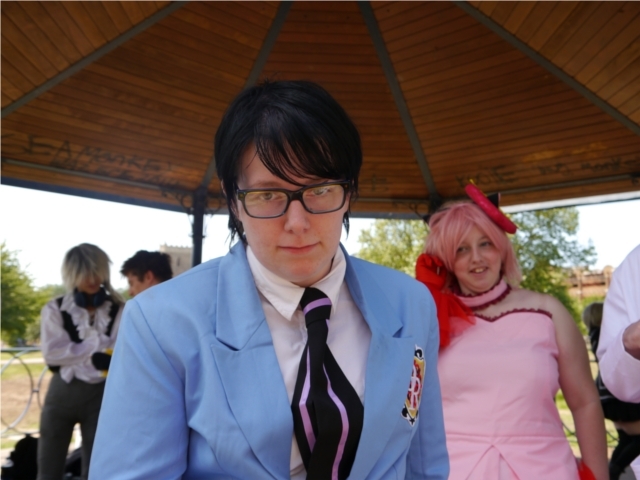 Like if you ever get stared down by a member of Ouran High School Host Club! There is even an Intelligent Auto feature, which tries to make the best pictures possible for you. The above picture was taken with the intelligent auto mode, which as you can see has done a very good job of a picture that could have potentially been quite noisy due to the closeness. The picture was taken within 1 second of the pose being struck, mostly because it was amusing at the time. When we looked at the picture, we were stunned at the quality of such a quick shot. 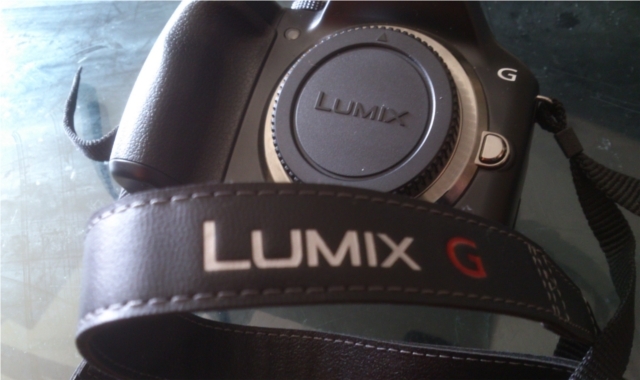 The Lumix also came with its own strap which for me was an important piece of kit. How else would I carry it around? It didn’t come with a case, but I simply popped to my local camera shop who allowed me to try several cases before settling with a fair sized case for £20. This is a 16 megapixel camera which does get noisy when you start to focus on range rather than close ups. With this said, as most people within photography would tell you: It’s not the body that does all the work: It’s the lens. Yet, I feel inclined to talk more about the body. As well as everything mentioned above, the camera body itself is easy to grip and hold. It’s weighted nicely and doesn’t feel unbalanced at all. The choice of material means it’s good to hold as well and you never feel out of control with it; which may seem like an odd thing to say, but I’ve held cameras which have been a pain to hold previously. The standard strap that comes with the camera helps to keep the brand, if you’re really into branding your stuff..! One point I’d like to make is that in the settings, you can actually change to a mode which has a “spirit level” feature. I am sure this is standard of all cameras, but let me tell you: it’s amazing! If you’re the king of uneven pictures (like me), then you’ll know how much of a godsend this is. The memory cards the camera can take are: SD memory cards, SDHC memory cards and SDXC memory cards. I had an 8GB SDHC memory card floating around and each picture takes between 6mb-7mb at the standard settings. The camera also does video, which I hope to be showing off soon as it does some amazing High Definition videos for a camera that’s not a dedicated camcorder! 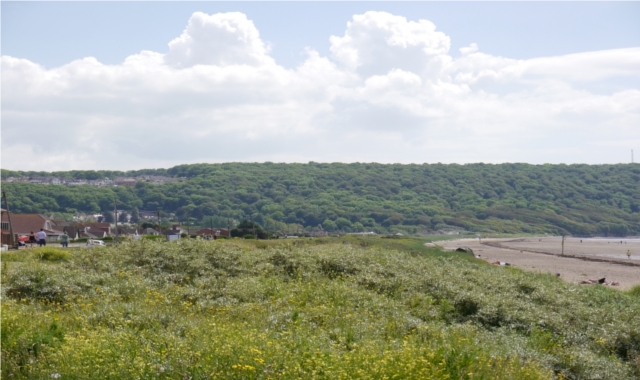 This view was taken at Sandy Bay. Whilst it won’t win any photograph of the year awards, it shows off the detail the Lumix can go to. Scaled down to 640×380, that is. With a good viewfinder and great features, the DMC-G5 is an amazing model. Speaking of great features: I’ve not told you about the screen on the back, have I? Whilst I don’t have any pictures of this, I do have a bit of information about it to share with you all. The screen is actually a touch-screen as well as the usual arrows and okay button to operate. This camera pulled out all the stops to be as easy to use as possible, as well as being compact enough to carry, yet still large enough to pull off some amazing shots. The screen can rotate and be pulled to the side, so that you can show people other than yourself or just use it as a screen to look at when taking pictures. It has a high resolution screen which works nicely with most lighting conditions although the first night of use which was the last pub meet for GeekOut South-West, we pulled off some terrible shots. I blame the guy who was fiddling with the settings although it was likely my fault for being such an amateur! I honestly think as far as cameras go, I have picked the best I could have. You can find these cameras on eBay and the usual places. I was originally going to buy this from Jessops, however just as I went to purchase, they stopped stocking it. Typical! I’ll give this camera a very respectable 4.5/5. I am sure there are many ways this can be improved and the lens isn’t the best in the world: But for the price and everything combined, this truly is the best way to start a potential hobby in photography. After all; they say a good camera will last you for many years and becomes your favourite camera. Let’s hope that’s the case! 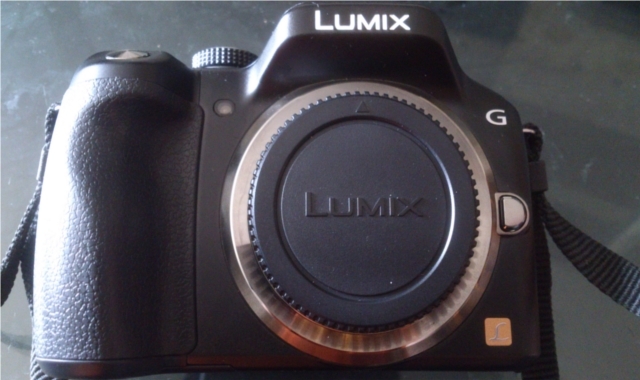 What do you think about the Panasonic Lumix DMC-G5? Do you have a camera that’s close to your heart? Drop us a comment if you thought this review was at all useful, as if people like these little snips of technology, we’ll bring more your way… Not necessarily just cameras, mind you! So on Friday night, we had a fair sized group headed out to a few pubs. We started at The Bag of Nails which is an awesome pub in Bristol, run by a gamer. With the cats wandering the pub and the awesome selection of guest ales, The Bag of Nails is a brilliant place to be. Sadly, I’m not exactly very good at taking pictures yet..! 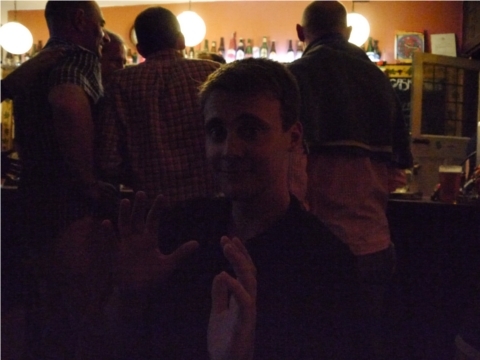 Whilst some settings were fiddled with, Patrick tried to give me tips on taking a picture. It failed. Then of course, because all the settings were fiddled with, when I went to take a group photo, the picture was so bright, that it’s made the picture look rather grainy! D’oh! I’ve learned more since then, however. We found an amazing game of Jenga when we were at The Bag of Nails… It was amazing, as some people had put the pieces so they were stood up vertically. This made for a rather… Shall we say, interesting game? We were able to take some of the vertical pieces away and put them on top! Before I was able to get a picture of the awesome Jenga game, it all fell in a giant mess. 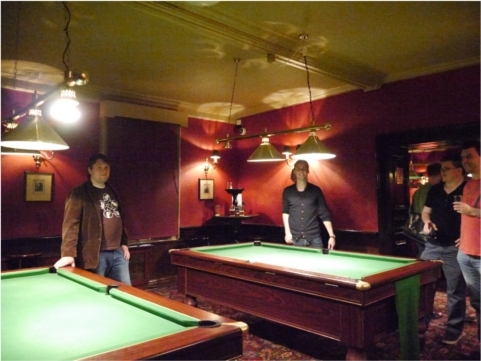 It’s true, I tell you – I can’t play pool to save my life. I must improve! There were more of us, but they all ran away from the thought of having their wonderful pictures taken. Not these fellows, though, they were more than willing to have their pictures taken. The turn out wasn’t the largest, having around 11 people in all this night; But we had some great conversation, met some amazing new people and hopefully we’ll see them again for some more games and banter. As well as having to come up with more ideas for events rather than just sitting around in a pub, the GeekOut South-West message is moving. 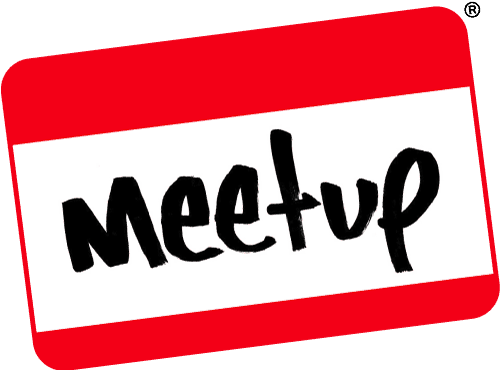 Joel will be taking up a GeekOut West-Midlands group! Many thanks to him for spreading our message further and we’ll be posting information about those meetups as soon as they’re available. In the mean time, we might have to consider re-branding slightly, in order to make it more “universal”. We’re going to have a Blog-versation here on the GeekOut South-West blog! We’re going to discuss the merits between two different aspects of gaming. This’ll be a series that’ll last 8 weeks, where we both discuss our side of gaming: Joel will be fronting the merits for Tabletop/RPGs whereas I’ll be discussing the merits for Video Games. Both of us are fans of both mediums; however I clearly lean more towards the video games whereas Joel has a clear lean towards tabletop games as evidenced in both of our blog posts. Stay tuned to see our thoughts on these two amazing forms of gaming and let’s discuss what makes a good video game and what makes a good tabletop game. As always, thanks for sticking with us guys, we truly appreciate every time you check one of our posts out and we love to hear from you! Drop us a line whenever you want and we’d be glad to talk geek with you!